If you are new to Sonoma County or a long-time resident and looking to connect with the local LGBTQ community, then Santa Rosa GayDar is the organization you need to know about. It’s not an app and you don’t need a mobile device to access it. Four community members started this social group 7 years ago. They give their own time and money to produce one event each month at different locations throughout Sonoma County. There is no obligation or event cost – just show up and meet some great people. 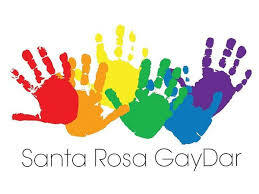 GayDar is working with Sonoma County Pride to help produce our annual celebration and this year they are expanding. If you are interested in getting involved in this year’s Sonoma County Pride celebration, attend the monthly planning meeting on the first Tuesday of every month at the Fountain Grove Lodge. Check the link below for details.